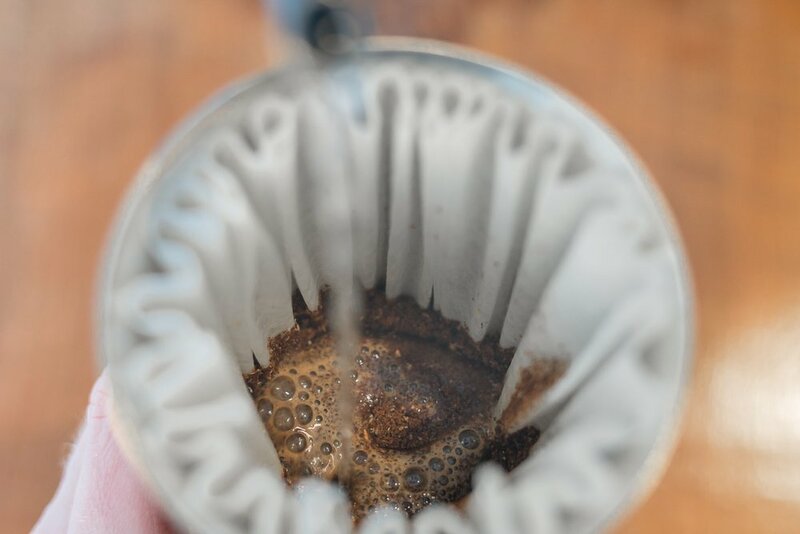 This is how we suggest making a pour over on the new Stagg [XF] Dripper. Find many of these items on the shop page. Start with fresh filtered water just off boil. We suggest 204 degrees if you're using a Fellow Stagg EKG kettle. Set your paper filter inside the dripper. Pour a generous amount of water through your paper filter, completely wetting the entire filter, to rinse paper dust and preheat your insulated dripper and carafe, then dump the water from the carafe. 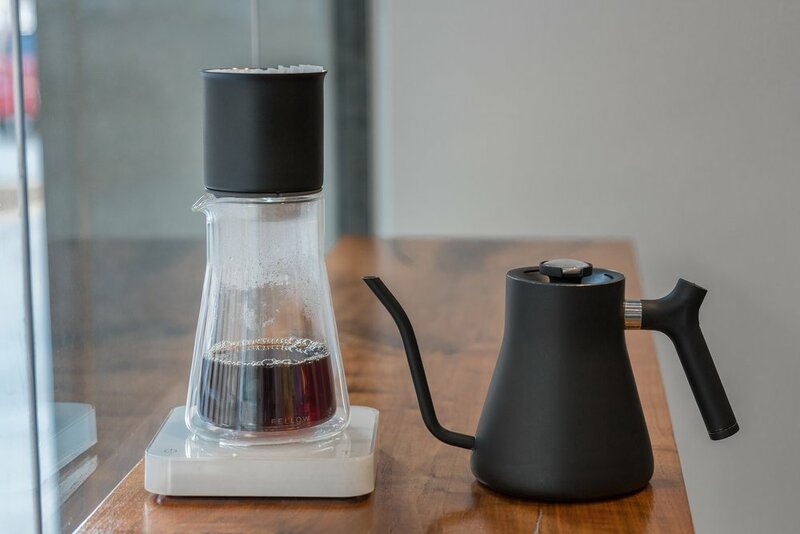 Set your dripper back onto the carafe. Alternatively, you can set the dripper onto a mug and brew directly into it. Grind 20g of fresh roasted coffee on a medium setting (about a 13 on a Baratza Encore) and add it to your filter. Give the dripper a gentle shake to flatten the bed of coffee. Pour 40g of water over the coffee while starting a timer. Note: 1g of water = 1ml of water. Let the coffee sit. You should see the coffee bed start to rise. This is called the bloom. When your timer reads 40 seconds, pour water in slow circles of varying sizes, concentric around center of the coffee bed. Keep the pour steady, but try to hit 320g of water at the same time your timer reads 1:45. 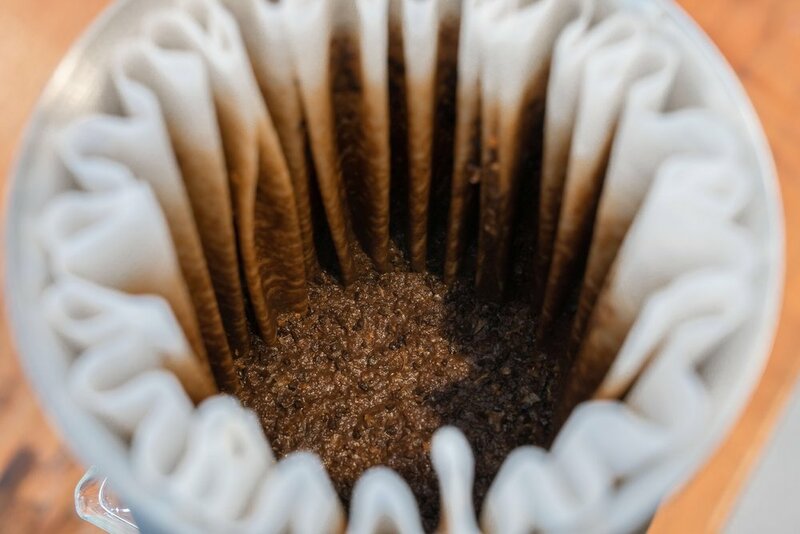 Allow the coffee to draw down through the filter. When liquid is no longer visible on your bed of coffee, pull the dripper off of your carafe and set it in the drip cup, gather the filter at the edges and throw the coffee grounds and filter in the compost or trash. You're ready to serve your coffee. The entire process should take about two and a half minutes. Our Chemex recipe can be found here, and more brew guides can be found here. We also recommend Fellow's fill up method.